PATRICIA L. DAVIS AUSTINTOWN – A funeral service will be held at 11 a.m. on Thursday, Dec. 31, at the Grace Lutheran Church for Patricia L. Davis, 77, who passed away Dec. 27, 2015. Patricia was an avid reader and loved to watch movies. 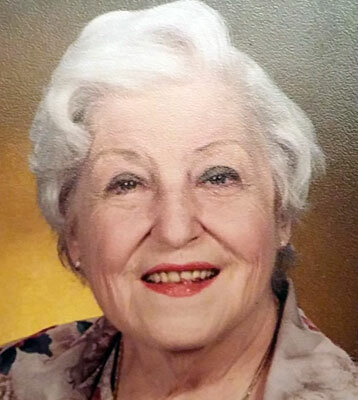 She also loved crocheting and donating blankets, and was a member of the Austintown Historical Society, the Youngstown Saxon Club, the Mahoning Valley Old Car Club, and Grace Lutheran Women’s Groups. Patricia is survived by her husband, William; her children, William (Rebecca) Davis and David (Pamela) Davis; her friend, Paul Scott; her brother, Paul (Nancy) Schmidt; her grandchildren, Justin (Emily) and Kristopher (Alisyn); and her great-grandchildren, Liam and Sadie. In addition to her parents, Patricia was preceded in death by her great-granddaughter, Kendyl. Family and friends may call from 5 to 7 p.m. on Wednesday, Dec. 30, at the Lane Family Funeral Homes, Austintown Chapel. A funeral service will be held on Thursday, Dec. 31, at 11 a.m. at the Grace Lutheran Church, where calling hours will be from 10 to 11 a.m. prior to the service. In lieu of flowers, please make memorial contributions to Hospice of the Valley, 5190 Market St., Youngstown, OH 44512.